The Appraisal Standards Board has issued the first exposure draft of proposed USPAP changes for the 2020-21 Edition of the Uniform Standards of Professional Appraisal Practice (USPAP). Sorry, this is important: don’t stop reading. The biggest obvious change is the doing away of reporting labels. Where several years ago we had three options, more recently we had two, and the proposed changes would do away with the labels altogether. Changes to Standard 2 would provide minimum reporting requirements–actually maintain existing requirements–and disclosures for appraisal reports. As multiple changes to reporting options over a number of USPAP editions did not clarify the continuing confusion on reporting and did not satisfy users and appraiser, the ASB has adopt a flexible solution not dissimilar to that of scope of work changes made in the 2006 USPAP publication. The ASB notes that a wide range of ideas arising from a number of sources were considered. The ASB changes will allow the appraiser, the client, and the intended user to find appropriate solutions within the context(s) of the requirements of the intended use for adequate reporting which will not be misleading. In many ways, this is how reporting has evolved to this point in time. 3. The requirements of Standards Rule 2-1, which are retained. 5. Continuing to require adequate disclosure of the scope of work and providing additional requirements. The decision to eliminate the Restricted Appraisal Report places a greater responsibility on the appraiser to appropriately set forth the nature of the reporting with respect to the client and intended user. The potential for misunderstanding and misuse still exists, but the revisions make the appraiser’s responsibilities reasonably clear cut. Additional guidance in the form of FAQs or an advisory opinion strongly suggests itself. The board presented the proposed changes to Standard 2 first and did not directly address reporting requirements to Standards 4 and 6. Based on responses, proposed changes to these Standards would be developed. The exposure draft does not mention changes to Standard 10: It seems business appraisers are reasonably content with changes made to their reporting changes. While changing the reporting standard in this way appears to be a sensible, market-based approach, i.e., let the market come to some solutions, the ASB is going to have to providing guidance in the form of Advisory Opinions developed for USPAP 2020-2021 with respect to handling common situations, such as when the client is the only intended user, and in appropriate handling the requirements that the information be sufficient for the intended use. Additional guidance will be critical to avoid misunderstanding and misuse. Based on the initial responses, additional exposure drafts will allow additional the opportunity for further commentary and revisions. The changes are far too important to not allow a wide cross-section of users to consider the obvious, and not so obvious, ramifications of the proposed changes. While discussing a USPAP exposure draft may seem pretty geeky, it is the middle of the summer, and, this is going to be a critically important issue for the appraisers and users to face up to. See the exposure draft at http://www.appraisalfoundation.org/imis/TAF/Exposure_Drafts.aspx. It’s worth taking a look at whether you are an appraiser or a user of appraisals. 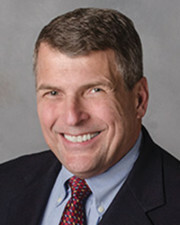 Bill Pastuszek, MAI, ASA, MRA, heads Shepherd Associates, Newton, Mass.